I suggest you all read from the same handbook when moderating this forum. I suggest you all talk to each other and share what decisions are made. I have asked for weeks about forum guidelines to be sent back to the "legacy" forums for reference. I have been on the telephone with a moderator who told me that posting links to an offsite Creator Forum is ok. I have read two posts by this moderator saying it is ok for us to post these links as long as they are not spam. Yet another moderator comes along and says we can't post to our helpful Creator Forum. I am calling you out. I want an answer FROM STAFF. You have saddled us with this c r a p discussion board that malfunctions and is impossible to navigate. Even you must be struggling if you can't discuss with each other one simple, godforsaken question with an answer. @ShannonMac this is your community and your forums. @DarkAngel5 Please let me know I am not insane. @Auntie Please discuss with DarkAngel5 what she said is ok. I am going to get banned because you guys can't get your s h i t together and I am being given either correct information or you guys aren't sharing the result of discussions in your alleyways and dark shadows of mod world. Well, not that what you told there was completely uncalled for. We do need the staff to say "our bad", and start getting their act together. That is if they want to experience themselves how painful using the Discussions is for that. - Ditch "Discussions" and return to phpBB. - Focus on fixing or recoding the client. ...Come on IMVU staff, pretty please... Give us something else than just crickets. even if taking away the consideration as a fan of the grrl you can do no wrong in my eyes . from time to time to keep things straight . 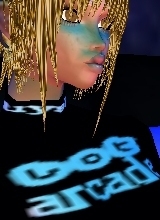 For a while I thought that my own outburst "IMVU NEXT is a failed experiment" was deleted. But it was all about a broken link. Notorious I am 101% behind you on this. It really needed to be said and I think you said it WELL! I do hope no harsh punishment comes to you for it and really hope it serves as an eye-opener for them to maybe change something around. It is very very VERY clear IMVU staff does not pass info between each other and it's always really ticked me off too. I am with you on this, if you need my help posting with you, just lead the way and tell me where to go. I will voice my opinion as well.